Regular Size Tool 6-3/4" long. 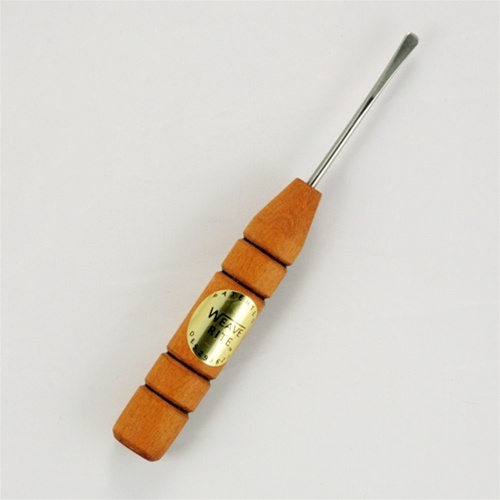 Weave Rite Tools are handcrafted weaving tools which replace ice picks, awls, knitting needles and other similar articles used for weaving. They are safer and easier to use and less likely to split or fray the weaving material. All handles are wood and the tips are stainless steel that are hand forged, ground and polished.